However, I think you can still see the tired in my eyes, there. It will go away after two or three days of intensive sleeping. The before and after pictures out of the way, let me tell you a little bit about writing The Human Division. 1. First, I think it’s a good book, and that, of course, is the most important thing. People have been on me for a while to go back into the Old Man’s War universe and tell some new stories in it, but one thing I’ve always been clear about is that I have no desire to go back in if all I’m going to be doing is grinding out books for the money. I like that universe too much, and I get bored too easily, to attempt that sort of thing. If I was going to go back, it was because I had new things to say, not because I was short on cash. Writing The Human Division appealed to me not only because I finally figured out (to a certain approximation) where to go next in the Old Man’s War universe, but also because I would be telling that new tale in an entirely different way: Instead of a straight-up novel, I would be telling it in an episodic fashion, with each episode its own story, but all the stories bending into an overall plot arc. In other words, it’s a very different way of approaching the novel form. That was a challenge I could get into and sign on for, because I knew I wouldn’t be bored as a writer, and because then I had some freedom to explore the state of the Old Man’s War universe in ways a conventional novel would make difficult. Having that room to explore meant I got to do a lot of cool things. There’s lots of action, plenty of drama, some humor and a fantastic set of characters, not all of whom of are human, and most of all I get to tell some great stories. With The Human Division I think I’ve gotten to see more of my own universe, and create a context for the things that go on there. I’m very happy with the experience, the writing, the stories and how it call comes together, both as multiple tales and as a single, coherent book. I’m proud of it and think you’ll really enjoy it. 2. That said, this is hands down the most difficult book I’ve written, because it’s different and because it came at a hectic time in my life. Let me revisit again with you the goals that we had for The Human Division: It needed to work as a series of independent but interconnected stories, all of which could be read on their own but which when combined together would have the scope and coherence of a novel. While doing that, it needed to revisit one of the most popular science fiction universes of the last decade in a way that made fans of that universe happy to come back, while at the same time pushing the universe forward in a way that made sense and allowed for possible and logical further expansion. So, yeah: No pressure there. And again, those challenges were why I did it: I like being challenged when I write because it makes it fun to write. And I need to have fun. But I was also juggling a lot of balls in the air, had a lot of puzzle pieces to put together, was hacking through totally unexplored jungle while the drop bears were falling from the trees, chose your preferred metaphor here. It was a lot to deal with, and I’m not going to lie to you guys, there were at least a couple of times where I wondered what the hell I had gotten myself into. Added to this was the fact that this was a very busy year for me, which did funny things to my writing schedule. Some of this was expected — I’m still president of SFWA, and I also had a full schedule of appearances — but some of it wasn’t. The very happy success of Redshirts, for example, ended up meaning that much of my summer was involved promoting the hell out of that book. Which I was happy to do and would do again, but which meant that I was also shrinking the number of days I had available to write a book that had a certain deadline, because it had to be ready for December. The fact it’s now the last full week of October should give you some indication of how close I ended up cutting it. This is where I thank my editor, Patrick Nielsen Hayden, for his almost infinite patience with me. For all that, I don’t think all that disruption was bad. One of the results of it was that I was able to spend some serious time thinking about the stories and the world building I was doing, and connections formed that I might not have otherwise made that I think are critical for the success of the book. So in the end I think I wrote it the way it needed to be written. It was a difficult birth, but a beautiful baby. * The book is arranged into thirteen “episodes,” which is the name we’re giving to the single-serving, self-contained (but interrelated) stories. * It’s arranged that way because starting in December, we’re selling each episode electronically, one a week, for, you guessed it, thirteen weeks. All the electronic episodes will be DRM-free, in keeping with Tor’s company-wide DRM policy. Also, Tor has the worldwide English rights to The Human Division, so the episodes should be available across the entire planet, same day and date as North American release. Or to put it another way, if you can’t buy it in your country, it’s not because of us. * It will also be available as a stand-alone hardcover book in May, 2013. * And yes, there will be an audio version, from Audible. My understanding is that they will also be doing the book in episodes, concurrent to the electronic episode release schedule. * The book is 130,000 words long (minus afterword and various front matter), which means that the episodes average 10,000 words each, which is pretty much exactly as we had intended. In reality the episodes range in length from 6,000 words to 22,000 words. If you want to get technical about it, The Human Division has within it two novellas, five novelettes and six short stories. That’s because each of the episodes is written to be the right length for its story, rather than written to a specific length. And that’s because that’s how I think it should be done. All the episodes will be sold for the same price. * The episodic electronic version and the single-volume print version will be more or less the same price when all is said and done. At least that’s the plan at the moment. * The events in The Human Division take place after the events of The Last Colony and Zoe’s Tale. * The Human Division features some characters who have appeared in the Old Man’s War universe before, but also features a raft of brand new characters (before anyone asks, John Perry, Jane Sagan and Zoe Boutin-Perry are not players in the book. The Old Man’s War universe is bigger than just those three characters). Most episodes feature a recurring set of characters, but there are exceptions. * And yes, I have a vague outline of what a sequel to The Human Division would look like. But, one, I have other things to get to first, and two, let’s not get ahead of ourselves, shall we. 4. For process fans, the first words of The Human Division (which eventually found themselves incorporated into Episode Three) were written on January 11, 2012, at 2:37pm. The final words were written on October 23, 2012, at 12:02am. Most of the words were written in September and October; there were a fair number of words written before then but a lot of that got chucked. The Human Division was primarily written in Google Docs, which lent itself to the episodic nature of the book, but parts of it were written in Pages, TextEdit, Microsoft Word and WordPress. The book was started on my now sadly-stolen MacBook Air and finished on my Mac Mini, and in between was written on my Acer One, my iPad and on a computer at the public library in Troy, Ohio that I used while I was waiting for my dog to get groomed. The book, as previously mentioned, is 130k long, which means it’s the longest fiction book of mine, beating out The Android’s Dream, which, as memory serves, was about 114K long. As a point of comparison, Redshirts, the most recent novel, was 55k long (the codas, however, brought up to 80k length). The average length of the Old Man’s War novels is about 95k, so this one is a little long for the series. Unless you consider it as two novellas, five novelettes and six short stories, in which case, uh, who knows. I’ll also note that, process-wise, this book was written entirely differently than any other fiction book I’ve written. I tend to write sequentially, from beginning to end. This time, however, I bounced around in sequence quite a lot, because from a construction point of view it was the smartest thing to do. It was interesting and gave me a new perspective on putting stories together, both individually and in a group. Well worth the experience. 5. 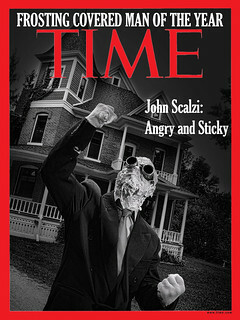 And now you say, yes, Scalzi, you finished The Human Division. But that was eleven whole hours ago. What’s next? Well, I’ll tell you, you ungrateful bastards. First, I’m pretty much giving myself the rest of the week off, because I can. Then the rest of the year I’m mostly focused on the video game I’m working on. In January, I compile The Mallet of Loving Correction, the next Whatever collection, which is scheduled to be released September 13, 2013 (i.e., the 15th anniversary of Whatever). Then after that… oh, who knows. Lots of things I am thinking about. I’ll do a few of them. But right now I’m keeping the options open. And that’s where I am, the morning after The Human Division. Conga-rats! Looking forward to the first episode (and buying the entire thing). Looked better in the first picture… your suffering was apparent…. suffer for your art, damn you! Insults are next door. It’s being-hit-on-the-head lessons in here. And of course writing is a romantic life. Where else can someone sleep for three days straight? So that ‘s what kempt looks like…. And the goat book. Don’t forget the goat book. Will we be able to “Subscribe” (for lack of a better term) to The Human Division, automatically delivering each new episode to our kindles or whatever when they become available? Just curious. For us impatient bastards who can’t wait until December, can you tell us the first word in the book? Is it an epic word, or an ordinary word? Is it short, middling, or longish? the curious would like to know. Now that it’s done, how does your editing process work? I know some authors go over and over their books once they’re “done”. Are you one of those? Or do you revise as you go, so that when you’re done, you’re actually done? YAY!! And I hope you have a really restful rest of week. Congrats sir! I look forward to reading it, and I do appreciate the way you take time to detail your writing process (to us ungrateful bastards out here). I sense a distinct lack of “101 Uses for a Spare Goat” in the near future. What happened to push it back in the schedule? This is the only blog I read on a daily basis except for my son’s blog. Every day when I fire up the computer I check you out. I usually enjoy your books, and now I have another to look forward to. Keep up the good work! 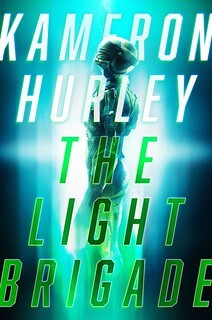 Will there be a SubPress version with a cool Vincent Chong cover? BTW, are there plans to release The Human Division as a single e-book at some point? re: episodic approach to a novel — there’s one other book that I know of that did something similar (a collection of stories that build up to a single story): Clifford Simak’s “City”. As far as I can tell it isn’t that well known (and wasn’t in print until a couple of years ago), but it’s a wonderful book. “audio version . . . concurrent to” . . . concurrent to what? The release of the episodes? And will Wil be back? Please, please, let there be Consu in it! Or not. But please do! Although I swear I won’t be disappointed either way. Unless they’re not! Thanks for bringing us along in the process, John. I’m so glad that not everything is “super seekrit” this time around. I really enjoy hearing about the parts that you did divulge in the new book, and the before and after picture speaks volumes as to the literal “wringing the sponge dry” in the creative process. And yes, I am a “process” person, now that I’ve used the word three times in this post! I hope you have a super rest of the week! And to follow up on Seabadger’s question, is there a way for us eBook readers to get the Human Division episodes as they come out (so we don’t have to wait) but end up with it self-contained in one book at the end (for ease of use) without paying you twice for it (even though we love you) and without pirating it (because that feels icky)? Thanks, and thanks for bringing us back to the OMW universe! What, no novelitos or novelititas? So I guess I’ll be reading this in May of next year, then. Hopefully none of the e-book buyers will spoil it on the internet. I’m looking forward to it. Congratulations! I’m looking forward to reading the book! I’m also glad you decided to leave the Perrys out of the novel for my own selfish reasons. I loved all the characters and I like that they might get to enjoy the quiet life for a time. They certainly earned it. Funny how you can get attached to make believe. You really ought to use that first photo on a book jacket. The photo alone ought to sell millions of copies for you. Maybe the one about uses for a spare goat. Just an idea. 13 ‘episodes’? Hmm…. Sounds like a TV mini-series to me. Many congrats, hope you have a good break for the rest of the week. Also, thanks for this post, it is really fascinating to me to read the impressions of the process from a successful author. I think those of us who just get to enjoy the end result often forget or overlook the fact that many many hours of work go into the books we love. Take care and all that! 2. I don’t know all the details about the distribution schemes at the moment, although I know Tor and I are in agreement that we want to get everything to you as seamlessly as possible. A lot of that, however, will be down to how the retailers do their stores. So my answers to all questions relating to distribution at this point are the same: We’ll see. 3. The book is largely done; any editing still to do will be very light. This because that’s normal for me (I write very clean copy, in terms of story) and because the first episode comes out in less than two months, which is a very tight schedule as publishing goes. 4. The goat book is still on the schedule, but let’s just say it’s not the top priority. 5. Fixed the incomplete sentence relating to the audiobook release. 6. If there is a limited edition, it will be through Subterranean Press, yes. I would hope to have another Chong cover to it. Congrats. Here’s hoping it will show up on the nook. Congratulations! I can’t wait to read it, and I think it is a really interesting concept for a novel. I always await your books’ release with great excitement and anticipation. Please, please tell me the video game you are working on is Half-Life 3 (or Half-Life, Episode 3). Do I detect faint wisps of smoke coming out of your ears? That’s usually a good sign… well, for us, that is. Congratulations, John. I hope this experiment is a huge success. Here’s my money. Awesome blog! I love reading about how you create you stuff. I find it very intriguing, all the though processes that go into it, lessons learned during it and even the process stuff and stats. Just simply love it. This is why I read an entertainers blog, to hear how they do their craft and make it seem so easy but we all know it is hard work. Excited about this one! rats, I am really sorry about this but I meant to ask if you had any idea how many hours went into it? The more I hear about this book, the more I want to read it! Ah, anticipation; what a glorious thing it can be. I don’t really track hours. Hooray, Audible plans. It’s been a while since they had serialized content — I think Jim Kelly’s “StoryPod” or whatever it was? I’ll be looking forward to seeing how that is handled. If we buy the book in episodic form, will we miss anything that’s in the final hardcover? Interesting stuff, John. Thanks for sharing. Sounds like Redshirts with its codas may have a first dip in the water with your use of episodic story structure (not sure what the term would be but that sounded nice)? I liked how that turned out in Redshirts, adding an element of surprise on multiple levels that was enjoyable. Looking forward to Human Division as well. Congratulations, John! Completing the book was worth it, even if you wound up at the end looking like something ol’ Zeus dragged in. Thank you for your tribulations on our collective behalf. Please to go fall down for a bit and recover. Congratulations! I’m looking forward to it. So it will be eligible for FIVE Hugos (counting best related for Audio book)? Sweep! 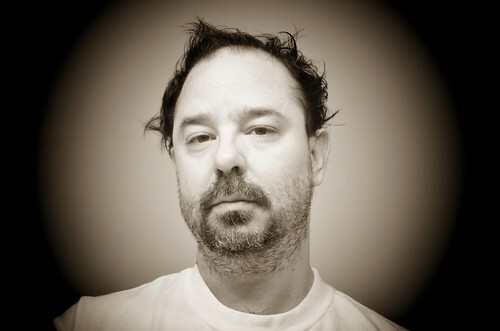 Somehow I prefer the photo of the wiped-out, unshaven Scalzi. I must be a sucker for halos. So unfair… a couple of episodes and BLAM! the world ends. Sheesh. Wonders: I am really sorry about this but I meant to ask if you had any idea how many hours went into it? Well, if Scalzi’s marathon writing was 20 thousand words in three days, lets say he had 13 hours of actual writing a day giving 40 hours total for 20k words. Which translates into 500 words an hour. That’s actually a reasonable number of words per hour, I think. 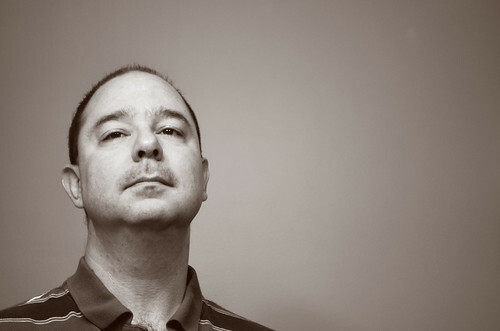 Depending on how much multitasking Scalzi does, or if he could focus all his work hours on Human Division, that would mean he might have started writing this anywhere from 6 to 12 months ago, and it would have been anywhere from a full-time to half-time work committment for that period. That would be my rough estimate. Good on ya, enjoy your sleep. Really looking forward to it, I’m a fan of the OMW universe. I don’t do episodic stuff (I am one of those guys who won’t start a series until the entire thing is published) or hardcovers (or paper at all anymore for that matter) and I don’t mind waiting, so when the ePub hits the Play store I’ll be there. I’m looking forward to reading The Human Division. I thought from the very first Old Man’s War book I read that you had a heck of a universe going. If you are so inclined, there is a lot of room for more stories, without the need to write an endless series of novels ending in cliffhangers. And I want to thank seabadger. You have finally revealed to be a clear benefit of being… well, older. I own a copy of Simak’s City – a paperback just a couple of years older than me. I believe I got it from a used paperback exchange rack at my local library when I was still in high school. So John, you get yourself a good rest, take care of your health and your family. And then, please! write another book! John, looking forward to buying episodes on my (promised) christmas e-book. Thanks for sharing how an author structures a collection& writes it. Just want to ask you and commenter Gilmore:could I Please use the words “novelitos & Novelitas” as last names in a future work? I will give detailed story lines in e-mails to both of you if requested. Thanks, either way, Tim D.
Will other methods exist to offer remuneration for access to this work, besides via Audible.com? I hope you have some serious slacking planned. I’m glad to hear you’re revisiting the OMW universe, and equally happy to hear you only go there when you have something to new to explore. There’s nothing I hate more than when a writer is obviously grinding out sequels. Cass Canfield of Harper’s was approached one day in his editorial sanctum by a sweet-faced but determined matron who wanted very much to discuss a first novel on which she was working. “How long should a novel be?” she demanded. “But what is the average length of the ordinary novel?” the lady persisted. “Oh, I’d say about 80,000 words,” said Canfield. Considering how tired you (still) are right now, contemplating this question might be enough to send you off the deep end. Still, here goes: do you have plans for a signing tour, a la Redshirts? It’s a possibility but it’s also very very early in the cycle to be thinking of this stuff. Very much looking forward to this. I didn’t think that John and Jane would be in it, because The Last Colony did a good job of wrapping up their story. I did wonder if Zoe was going to appear. I was rereading Zoe’s Tale recently and imagining what she might go on to do with her life a few years down the road. But new characters are great. Your characters are probably my favorite parts of your books. I figure the generals might appear, and maybe Harry, but I’m looking forward to meeting The “B” Team. I read, “to a certain approximation,” and my head literally exploded. But I’m all right now, and looking forward to 5/13.